VFU "Chernorizets Hrabar" is a beneficiary under the Erasmus intensive programmes. The theme of the intensive program is «Virtual modelling and construction of bridges and demonstration in real environment» which provides for one lecturer of VFU "Chernorizets Hrabar” and six students to take part in a workshop, which will be held at the State College of Klaipeda, Lithuania. The program will offer interesting opportunities not only from an educational point of view, but also giving the possibility of the experience achieved to be used on the labour market in the future. The main activities of the intensive programme will be implemented by a group of students and faculty through the development of a common project, based on the educational activity and distance learning. 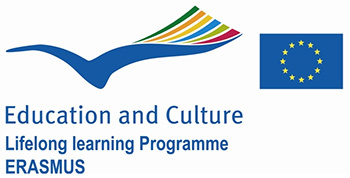 Lead organization of the project is the State College of Klaipeda, Lithuania and the remaining partners are Instituto Politecnico de Santarem, Portugal and Leeds Metropolitan University, UK.